This unique twist to an old classic pairs balsamic-infused cherries with ripe avocado and just a splash of fresh lime juice – definitely an exotic flavor profile! 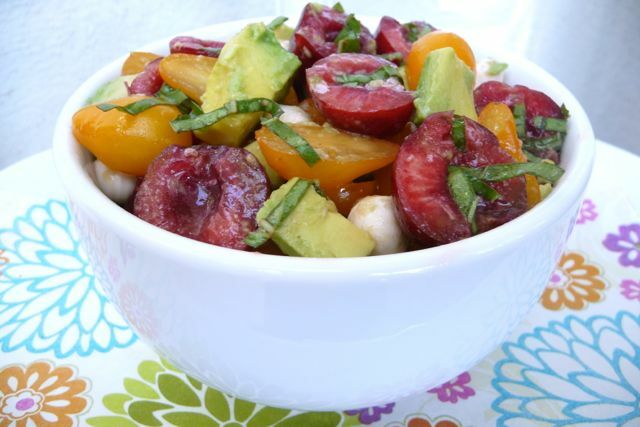 This beautiful and flavorful salad was the result of seeking more ways to enjoy fresh summer cherries. I was delighted to find that they add an amazing depth of flavor to traditional caprese. Unfortunately, fresh cherries are only available for a very short season. So if you’re like me, you may find yourself over-indulging in this delightful salad while supplies last! What to do if it’s not cherry season? Simple! Just toss in some fresh organic strawberries instead – also fantastic! In a large bowl, add chopped basil, lime juice, olive oil, balsamic vinegar, salt and pepper. Combine well. Remove stems and pit cherries. Then slice the cherries, as well as the grape tomatoes, in half and add them both to the basil mixture; toss well. Drain mozzarella balls and also add to the basil mixture; toss well to coat. Caprese is best served at room temp. However, if you prefer it cold, place it in the frig for no longer than one hour. When ready to serve, gently fold in the diced avocado; do not overmix, especially if avocado is soft. Serve solo, or over a mix of fresh mesclun greens. So flavorful! This delightful version of caprese is so fresh and delicious, but it doesn't keep well, so be sure to enjoy it within a couple hours or so of making it. 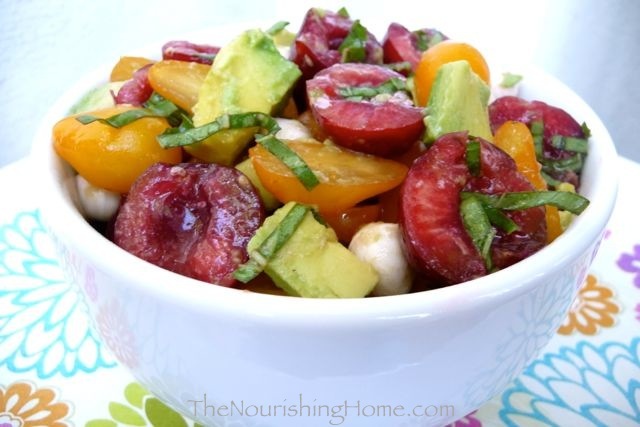 Recipe Variation: This salad is equally delicious with fresh ripe strawberries! Simply quarter about 6-8 strawberries and toss in as noted above. Yum! I can’t wait to try this salad. I’m headed to the store today to pick up cherries, so I think this will be just the right dish to make with them. What a great idea! 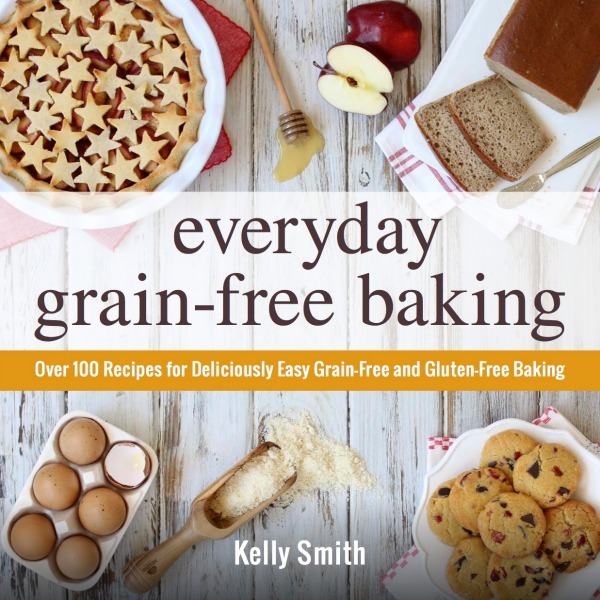 I hope you’ll it share at Allergy-Free Wednesdays today. wow this just jumps off the page! it is so beautiful! thanks for sharing! This salad looks so interesting. I would never think to have cherries and avocado together. It inspires me to try avocado with different flavors. Glad to be able to inspire you to add more avocados to your diet – they are such a nutritious addition to meals! This looks great! Cherries aren’t readily available here so I’ll probably omit those but the rest looks delish!! So clever, LOVE this idea! Delish, delish, delish! Pinning, pinning, pinned! Thanks for sharing this with Summer Salad Sundays, look forward to seeing you again soon! Wow! That looks YUMMY! Never would have thought to put cherries in a dish like that, but it sounds good.